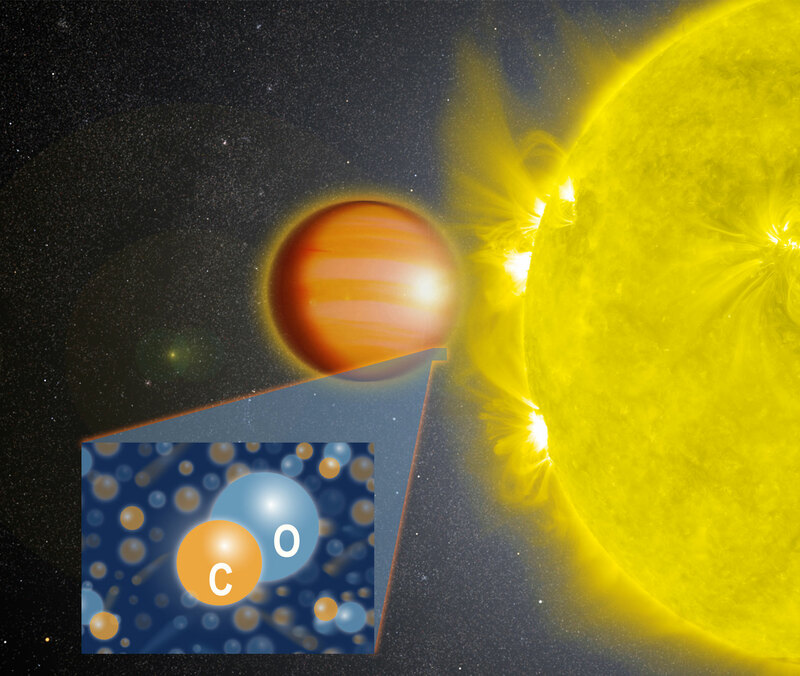 A NASA-led team of scientists determined that WASP-18b, a “hot Jupiter” located 325 light-years from Earth, has a stratosphere that’s loaded with carbon monoxide, or CO, but has no signs of water. To produce the spectral fingerprints seen by the team, the upper atmosphere of WASP-18b would have to be loaded with carbon monoxide. Compared to other hot Jupiters, this planet’s atmosphere likely would contain 300 times more “metals,” or elements heavier than hydrogen and helium. This extremely high metallicity would indicate WASP-18b might have accumulated greater amounts of solid ices during its formation than Jupiter, suggesting it may not have formed the way other hot Jupiters did. Be the first to comment on "Astronomers Reveal That WASP-18b Has Smothering Stratosphere Without Water"